And Justice For Art: Misanthropic Urban Landscape: Creating Polyptych's "Defying the Metastasis" Artwork. Misanthropic Urban Landscape: Creating Polyptych's "Defying the Metastasis" Artwork. 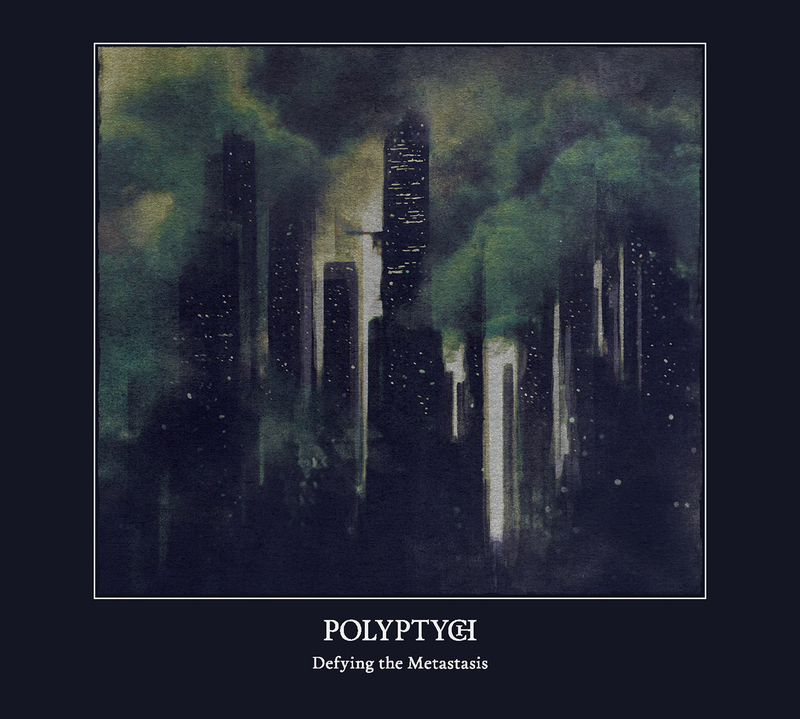 America's extreme metallers, Polyptych, just made available their brand new album,"Defying the Metastasis." Despite being a self-released effort with budgetary limitations, the band has paid a great deal of attention to every detail related to the album. 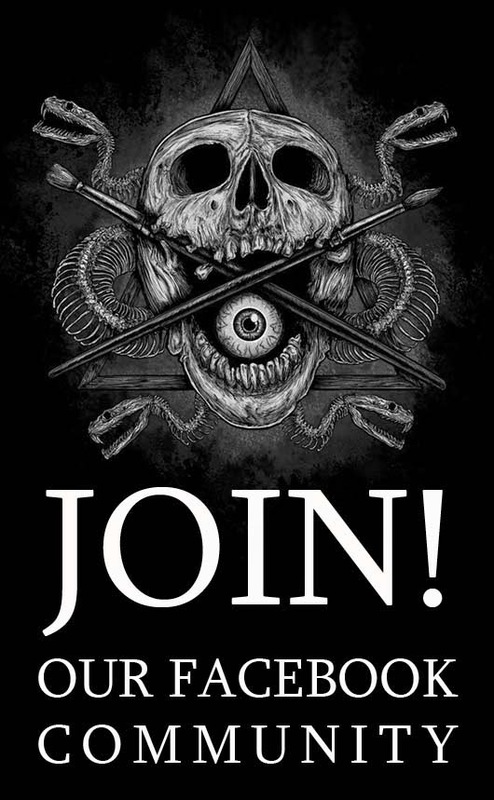 This includes the cover and layout artworks which were created by Chris Kiesling of Misanthropic Art, who also worked with the band in their previous album, Illusorium. Exclusively for And Justice For Art, Polyptych's bassist, Frank Lato, explains that "the art seeks to visualize both an individual/population struggle against forces that are overwhelmingly larger than themselves including themes of paranoia and oppression within a fictional totalitarian society." "My goal with the artwork for “Defying the Metastasis” was to create something different and new that I had never done before in terms of drawing technique and style," Kiesling comments. "I talked with Frank about the album's concept and what the band wanted to express with their music, and I only saw it fitting that I should push myself a step further and kept it very abstract to capture a modern dystopian world." "It was clear from the beginning that the artwork would be different to "Illusorium," Kiesling adds. He produced the artwork using a combination of mixed/digital media and acrylics. 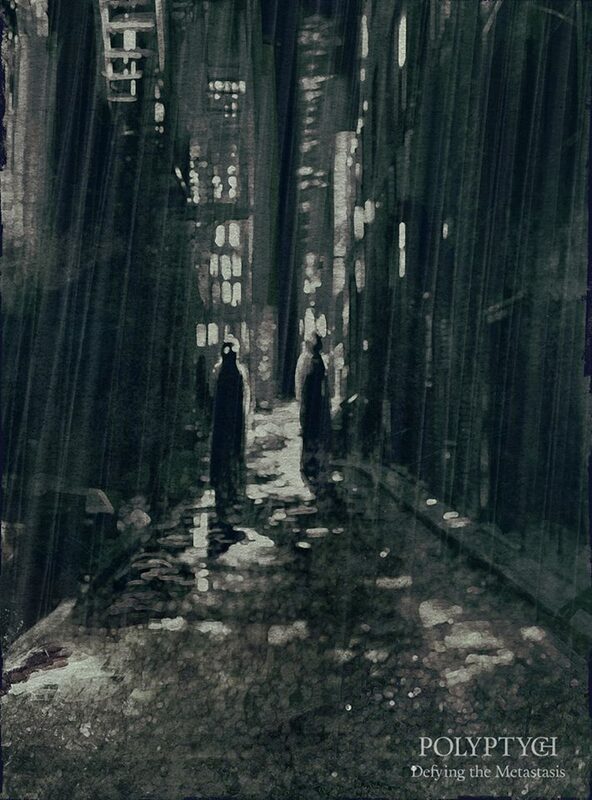 [The city landscapes of] Jeremy Mann among others, were a huge inspiration. The band sent me some example images for mood color scheme and general perspective, I went from there and had basically free hand in doing my thing, which resulted in me also doing the complete layout for the release. I really appreciate that Frank and the band trusted me and supported my creativity. I’m glad it turned out the way it did, and I wish there would be more bands out there with such a great attitude towards painters and illustrators.